Universal pressurised sprayer in oil proof design, tank made from high quality plastic, 3 bar max. operating pressure, 5l filling capacity, pressure gauge, brass spray lance and adjustable nozzle. 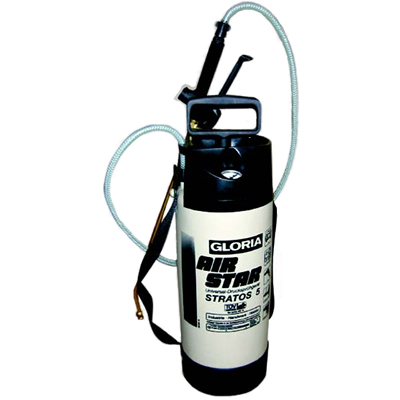 A great general purpose pump sprayer for application of pesticides, herbicides and cleaning agents / disinfectant. Oil resistant viton seals make it ideal for applying wettable powders, suspension concentrates and emulsions.